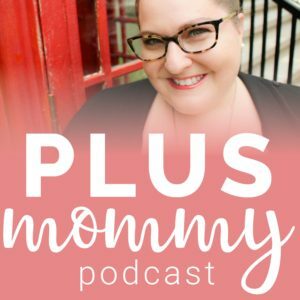 My first pregnancy, I was in a terrible mental state. I was horribly fat-shamed by my care provider who was not size-friendly. Coupled with my own insecurities, I absolutely abhorred my body the entire time through the pregnancy. 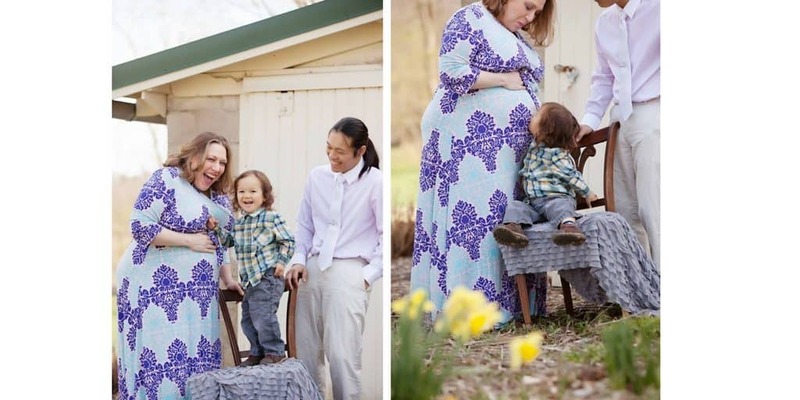 When our doula told us that part of her services included maternity photos, again, I was horrified. But, I wasn’t going to turn down free plus size maternity images. I had no confidence in those photos. My shoulders were slouched. There was no joy or contentment in my face/eyes. I really hate those photos. I can see a clear picture of my mental state and I know the pain that followed in the following 18 months after my son was born. After some extensive counseling (which I still go to once a week) and obtaining guidance from this blog and community, I knew this time would be different. I decided that this pregnancy, which will be my last, was going to be treated with the love and respect it deserved – myself included. I was determined to get professional photos from the photographer who did our son’s “first-year” package last time. So when we purchased our “first-year” package from her this time, I added on the maternity session. I was completely scared out of my wits and doubting myself. One of the biggest things about pictures is, “What am I going to wear? 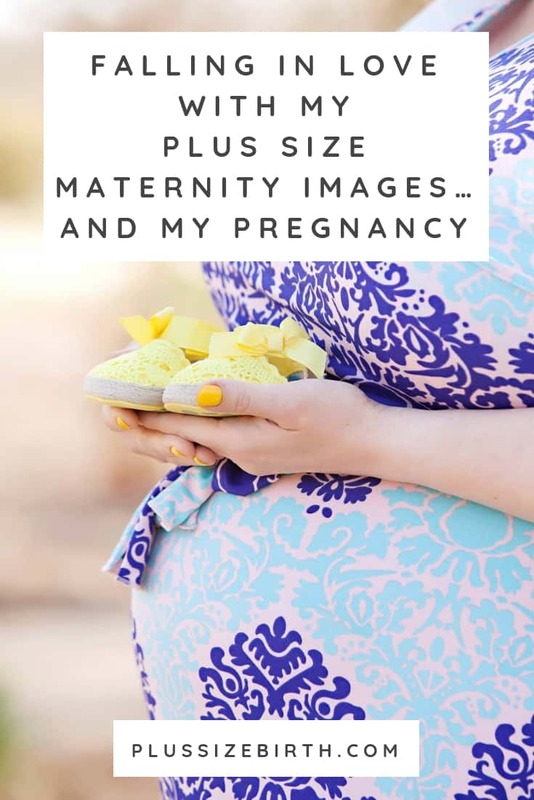 !” That is compounded by the fact that plus size maternity dress clothes are not the easiest things to find. 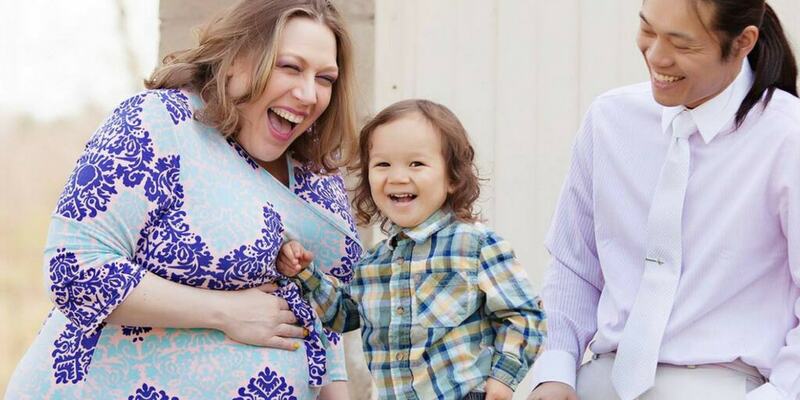 Our bodies do weird things when pregnant and change. I also had no idea how things would fit, what size I was, etc. I checked out Motherhood Maternity and they had exactly one dress that was black. Not exactly the look I wanted for maternity photos. So, I checked out Pink Blush’s return policy and saw just how generous it was. As long as tags are still attached, you can return anything within 30 days of delivery at 100% and they pay for shipping. I ordered 6 outfits in 2 sizes each and tried them all on before deciding on the one that made me feel the best and my husband liked. to help shape my bump. We re-hired our photographer, Katie Meints of K-Design Photography, local to us in Mahomet, IL. She is a pretty great photographer for children but we hadn’t used her for adult pictures like this. I was a little leery of how she would handle photographing a plus sized momma like me. A lot of the “canned poses” don’t look so great for us. 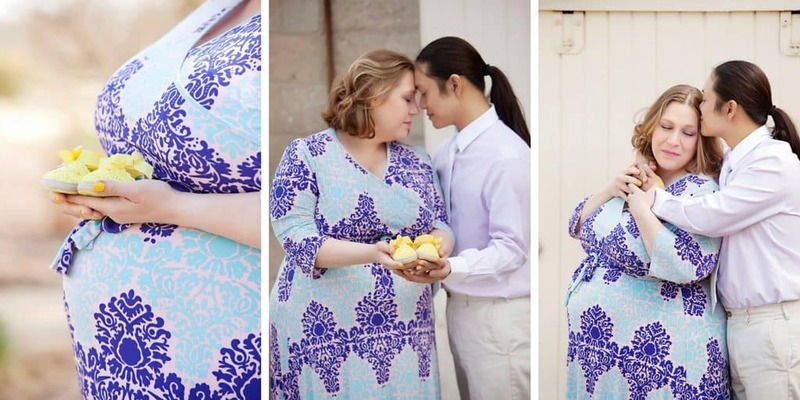 She did have us do some of those for our plus size maternity images. She really worked her magic to make me feel comfortable which I really think showed in our photos. I’m beyond overjoyed at how these plus size maternity images turned out. I am so glad that I pushed through my fears to do these! 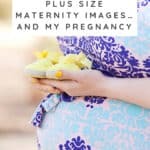 See even more plus size maternity images from our Plus Mommy Instagram feed and be such to check out our collection of plus size birth stories.